Yesterday was beautiful. We spent the morning having family time, praying over the Cre8 gathering that would take place later in the day, and completing any last-minute spot cleaning and prep-work. Mike worked in the office on the computer and I sat in the worship room at the piano, singing for a while… until I was SUDDENLY interrupted with a nerf gun bullet to the face by a cute little spygirl in full battle attire, protective spy glasses, and a look of shock! GAME OVER. The Worship Room is a non-play zone. She ignored the invisible sign. Back to quality time with the kids and a bit of post war briefing after the face bullet. We saw the sign, and gave them our time. Hearts happy, people forgiven, all was well. With all of the pipe work being left unfinished on Friday, Mike had to put signs around Cre8Home. Thankfully to our best knowledge, men, women and children followed the signs. 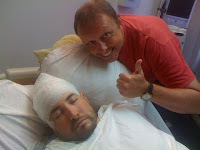 During Cre8, our friend Jacob shared his story, his life and struggles. Diagnosed with brain cancer at the age of five, given three months to live at age seven, he is still a walking miracle today at age thirty-three. The Cre8 Family has rallied around him in a recent dark season, and last night was a marvelous expression of thanks to God and the ability to see God make Glory in every circumstance to those who earnestly seek Him, even in the fire. You see, His LOVE holds all things together… and we can see it when we follow the signs. Jacob uses his gift of photography to capture signs of life. “My name is Art…” He told me pieces of his story through much stuttering. His breath smelled of stale alcohol, and as I listened, I read the signs. My mother’s father (PaPa) came from a family of drinkers and this man reminded me so much of a few of my Great Uncles. My own grandfather had given his life to the Lord and was able to overcome his own addictions. 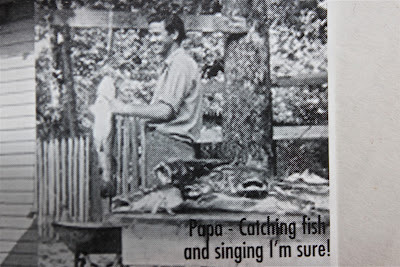 But, boy have I thought about PaPa lately—that man LOVED to fish! The water was his sanctuary. I listened to his fish story… and it wasn’t long before he was off fishing, and I resumed my conversations with Cre8 Families who were leaving our gathering. As Mike and I locked up the Home, leaving for dinner, we stopped at the corner of the pond and rolled down the windows so that Mike could meet Art. We ended up having church through that window with Art and his friend A.J. You see, there was a greater reason WHY they had come to the water together. They had heard that a church met here now, and A.J. had just experienced a tragedy last week. A four-year-old girl died in a four-wheeler accident in his neighborhood. He heard the screams behind his own backyard and was the first responder. A.J. was able to keep a pulse until the medics arrived, but to his dismay, she passed away in transit to the hospital. He said to us, “I could see the signs. I knew she wasn’t gonna make it…” and his voice trailed off into broken tears. I wondered why he needed assurance that at this place he would be welcome, accepted. Signs. Seriously people, we may think that we KNOW things about people…. but I believe we need to follow the signs. There is always more. More to the story. Everyone has one. And right now, many are hit smack in the face with unexpected darts and bullets—in the darkest chapters… Yet, every ONE remains a small part of a much BIGGER Story. Every week, families are coming to us in crises. Every week, we are being invited into the pages to read the signs and try to help. Time to change the sign. oh Ami, I saw the gentlemen as Robert and I were leaving and we said hello to them. As I read this my heart just filled to overflowing with God's love for people. With tears in my eyes, I thought about what I said last night. "How do I want people to see Jacob?" The same way we should see everyone else, " Fearfully and Wonderfully made." And CJ – We greatly look forward to spending time here with you and Shelley. We are praying for you in your many adventures you face today. Love you both!!! Karen – when the kids and Mike and I pray for Art now, we call him "Work of Art." As we were leaving, these guys were just getting out of the car. The kids were asking me questions about if the were "allowed" to fish there. I responded that I was sure the lake was there to bring people and I was sure you guys were thrilled it was being used. Tomorrow morning I'll tell them about this! Thank you Shelly, and thank you for reading.